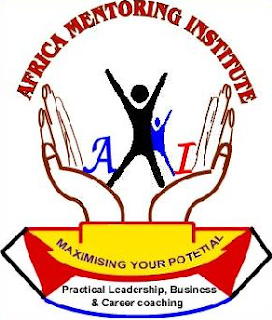 Africa Mentoring Institute is a capacity building based institution registered in December 2004 with a Reg. No. 68122, established to help individuals discover and maximise their career potentials. Our major target is to have all those individuals passionate about their careers to acquire and succeed with practical skills through career guidance and mentoring to answer Africa’s challenging needs. Our core focus is on capacity building training institution,Sustainable Human Development, HIV/AIDS care and Management, Research and Institutional effectiveness. Our primary purpose is to provide practical skills, strategies and models which can provide necessary focus for long term peaceful co-existent society. We do this by concentrating on gaps people missed during their education pursuits for we believe that the level of national development is equated to the level of people’s knowledge and skills. At AMI, you get exposed and empowered to develop your abilities and discover your capacity to achieve your vision, through developing and nurturing your values and success master keys so as to implement your life long pursuits and strategies. Accessing our programs enables you to get more practical skills to discover, begin and create a positive future not only for yourself but also for the prosperity of others and your country. We train both in residential and community outreach certificate programmes. We conduct outdoor trainings for organisations, community leaders and individuals passionately desiring tailor-made training to fill the gaps missed in their education or organisational orientation trainings. We do this by reactivating latent knowledge into potential action skills to make your dreams come true as we create a better generation. Where vibrant connotes being, Action oriented, Creative, Self motivated, Maximizing its potentials and Self driven. On the other hand, AMI believes that a self sustaining society is one that is Creative, Responsible, and Effective with efficient resource utilization, Focused, Self perpetuating and liberated. Our main purpose is to facilitate holistic personal societal development. The primary intention of the Institute in its work is to provide practical skills, strategies and models, which provide the necessary focus for long term sustainable personal, community and societal success. The emphasis in our work is rooted in leadership training, mentoring and coaching at all levels. We do this by concentrating in areas/gaps people missed in their educational trainings. Positive relationships and personal responsibility. Collaboration and research as the basis of sustainable development. Peace and harmony as a way to attain development and overcoming conflict. Ethical principle centred leadership based on commitment, integrity and time management. Be the change you wish to see in the world" (Gandhi) (For things to change, first I must change). Our core beliefs have coalesced over time. They represent our shared priorities, drive, and behaviours in every day-to-day activity and interaction at AMI and with our clients. We believe every person we interact with is a great one. Scientific research achieves great things. Integrity, honesty, accountability, professionalism, equality, diversity and openness are fundamental to the way we operate. Our clients and partners are essential to our success. Our diversity and breadth allow us to tackle complex problems and opportunities on a national and global scale. We value a safe and healthy working environment. Trust is crucial in building high-performing teams. The solutions to Africa’s challenges are first for African themselves as they wait for enablers.